Listen up readers, for I have some especially delicious sale news to share! 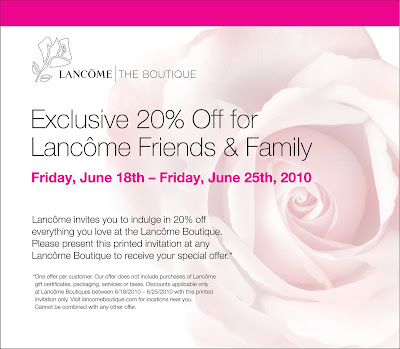 From Friday, June 18th to Friday, June 25th, Lancôme is offering an exclusive Friends & Family deal at the Lancôme boutiques. 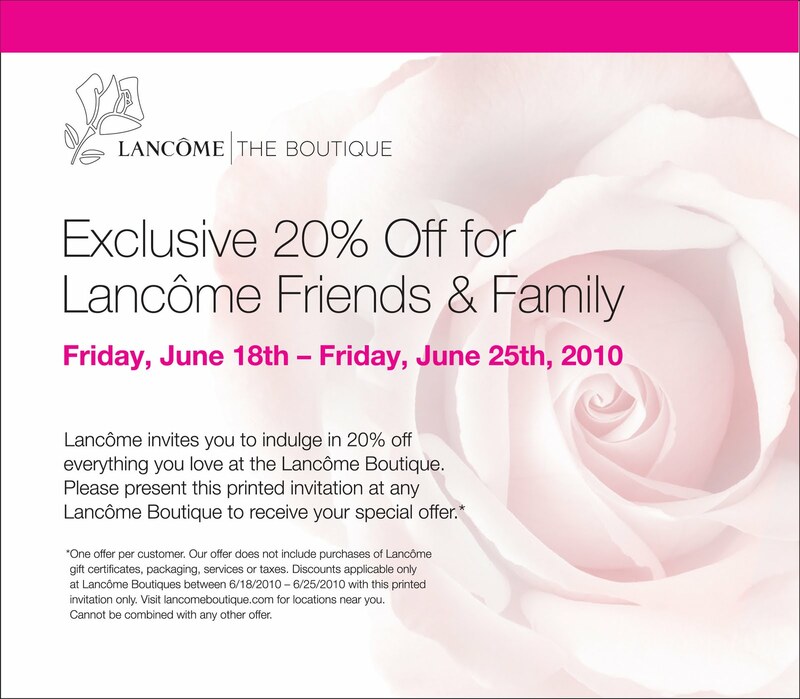 All you have to do is bring a copy of the invitation above to any Lancôme boutique, and you will receive 20% off all your Lancôme favorites. For a list of boutique locations, visit the Lancôme site.